SAHARA LINEN WITH SELF-BUTTONS, BLACK TACKS AND LEGS. This Brighton Beach Sofa is not to be reckoned with. The low back, fluffy pillows, and compact silhouette have conspired together so that your wildest dreams can finally come true. Who needs a vacation when you already live in a resort? Item sold as shown online. 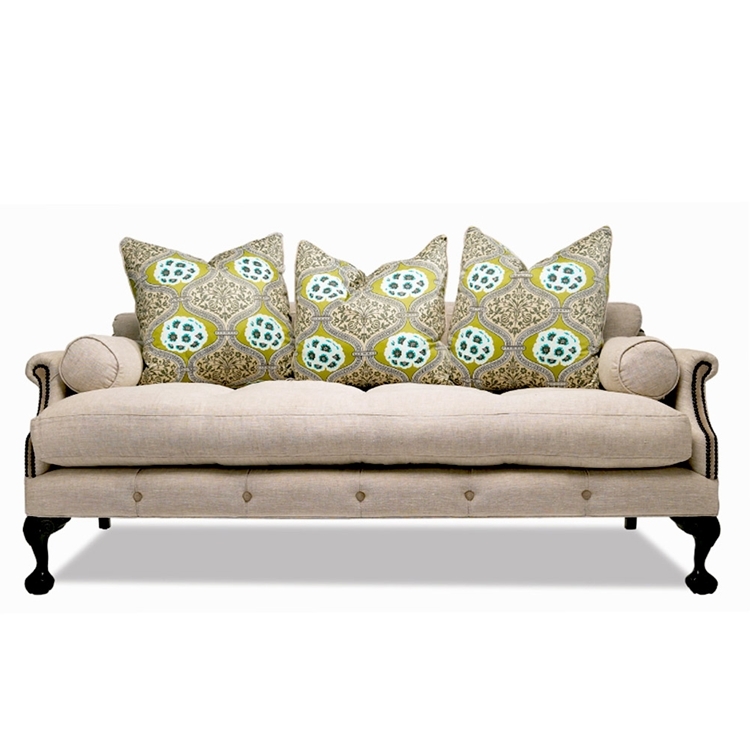 Sofa comes with foam filled seat cushion, (3) down filled self accent pillows, and (2) bolster pillows. Email info@hautehousehome.com or call 323.256.2800 for custom options.